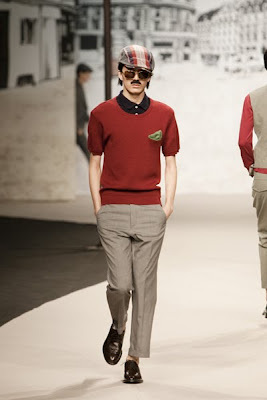 Here is the run-down of the men's collection at Seoul Fashion Week Spring/Summer 2010. 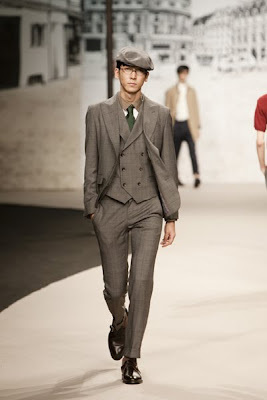 Designer KoTaeYong of Beyond Closet showed a witty reinterpretation of men's classics. Designer Jang Kwang Hyo mixed shantung silk and cotton for his collection. 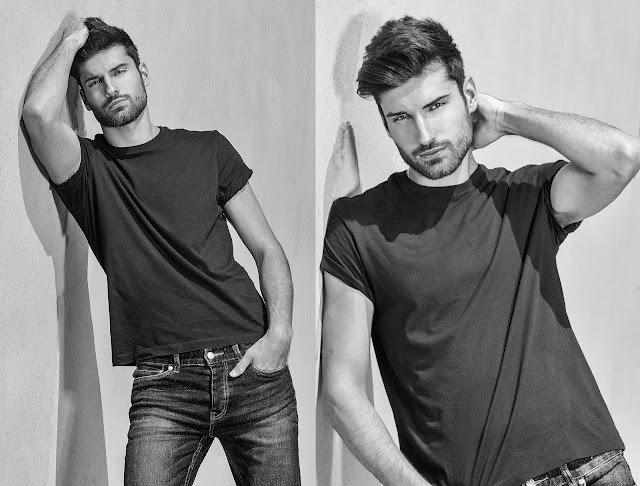 Designer Lee Hyun Chan used the rugged American trucker as his inspiration for his collection. 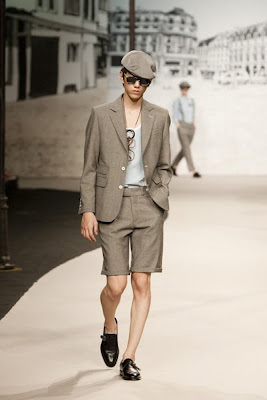 Designer Kang Dong Jun called his theme for DGNAK for spring/summer 2010 "Dampish Breeze". 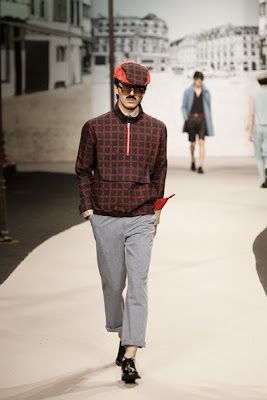 Ambiguité or ambguity is the main theme for spring/summer 2010 for label Enzuvan according to desinger Hong Eun Ju. She showed clothes that were unisex. 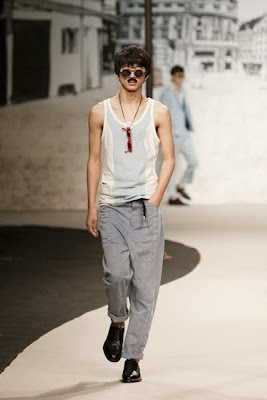 Designer Jung Du Young collection for Fahrenheit Homme is about edgy minimalist clothes for spring/summer 2010. Designer Ha Sang Beg called the theme of the collection for his own label "Surrealistic Buffalo Gangs" Ha:Sang; Beg label is about streetwear meets couture and clothes that have uncoventional silhouette. 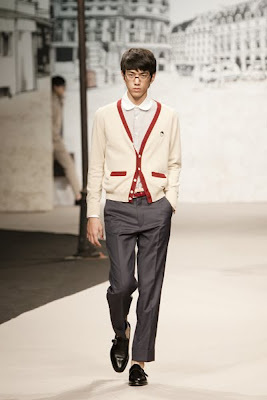 Designer Sung-Chul,Park used monochromatic and neutral colours for his Line or Circle collection. According to designer Lee ju young , the label Resurrection is all about modern rock chic. Designer Park Herin showed a lot of jacket with strong shoulder.